Even though we’ve been bringing our child to daycare for over a year now, we never knew of many of these great tips. Our relationship with our daycare provider has really improved! We were very nervous about daycare for our first. It’s all new to us. 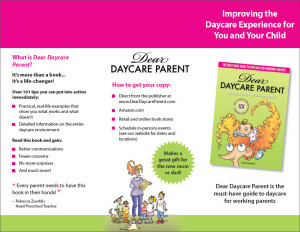 Dear Daycare Parent helped us in an entertaining and informative way. Thank you! This is a great resource for me to provide to my parents when they first join our program. We are all much happier for it! 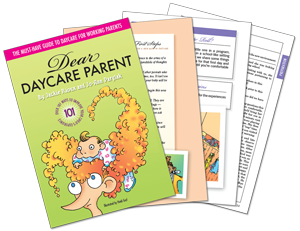 Every parent needs to have this book in their hands.